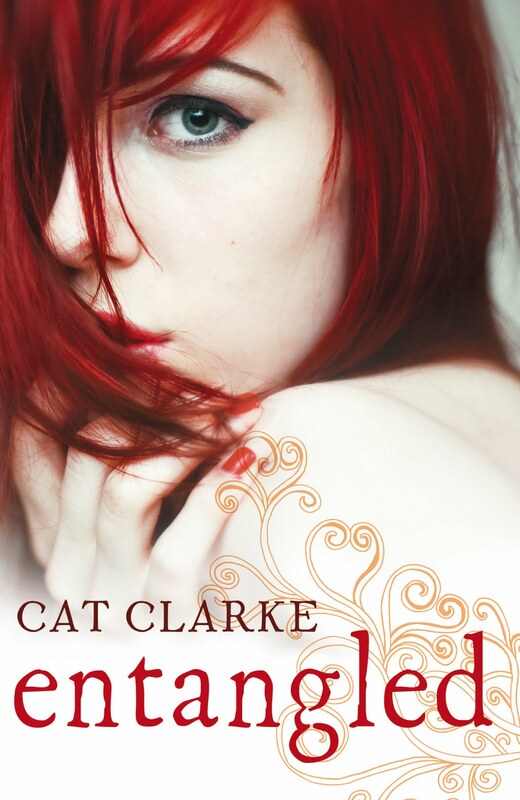 The Big Break is really pleased to have Cat Clarke, author of Entangled joining us today. Entangled was one of my most sort after books at the beginning of the year and it didn't disappoint. If you would like to read my review, you will find it here. Cat Clarke's next book entitled Torn will be out at the beginning of next year. How long had you been dreaming of being published before you got that life changing phone call? I probably started dreaming of being published when I was about twelve. By the time I went to university I was telling anyone who’d listen that I was going to be a writer... I didn’t do much writing though. What was your first reaction when you found out that your first book ‘Entangled’ was to be published? It was completely surreal. I remember my fingers feeling all tingly and strange. What were you doing when you found out? I was at work – as an editor at Scholastic. There was a flurry of emails and phone calls and needless to say, I didn’t get very much work done that day. I called my parents, then I told one or two people at work... then I told Twitter, of course! How long did it take for your book to reach publication after the initial agreement? It took about thirteen months, which is actually pretty fast. The world of publishing moves S-L-O-W-L-Y, you have been warned! The manuscript was edited, which was relatively painless. It was mostly just cutting out unnecessary bits. I have a tendency to repeat myself repeat myself repeat myself. Then there was copy-editing, which was an eye-opening experience. I learned that my habit of using the word ‘just’ is a lot more serious than I’d thought. Finally, the manuscript was proof-read. I enjoyed each and every stage (probably because I am a true publishing geek). How did you keep yourself occupied as you wait for publication day? I did my best to concentrate on the next book, TORN. And of course, the day job took up a lot of my time and brain space. I kept on forgetting about the whole getting-a-book-published thing... I think it was too much for my tiny brain to cope with! What are your thoughts on the beautiful cover created for you? LOVE LOVE LOVE! Did I mention I love the cover? I have a poster of it on my wall in my office – that’s how much I love it. I feel tremendously lucky to have snagged such a beautiful cover for my first book. How did it feel to see your name on the finished book cover? Pretty strange, to be honest. I’ve written some non-fiction books under a slightly different version of my name, but this felt different. This was 100% mine. Your book was released in January. How did you celebrate? I celebrated by drinking champagne cocktails and eating delicious food. And chatting on Twitter all day. How does it feel to have people recognise you now as an author? Do you mean ‘recognize’ as in getting stopped on the street?! Because that certainly hasn’t happened! But I like people recognizing that writing is my ‘thing’. And I like getting emails from people who’ve read my book and enjoyed it. Someone tweeted me the other day, saying she was reading ENTANGLED for the twelfth time. That was very, very cool. How would you spend a typical writing day? What advice would you give unpublished authors? There’s so much good advice out there and I’m still very new to this, so I’m not sure how qualified I am to give advice... but I’ll give it a go. I think writers should write as often as possible (yes, this is a case of ‘Do as I say, not as I do!’). It’s all too easy to come up with excuses for not writing. Ask yourself if you really need to spend three hours researching seventeenth century furniture for that scene you’re working on... or could you maybe just go ahead and write the scene and then see what research really needs to be done? And it sounds obvious, but writers should read. A lot. Thank you Cat Clarke for sharing your thoughts with us today, although my biscuit barrel is now a little empty! If you would like to read more about Cat Clarke, then you will find her blog here. It's lucky you didn't offer her any cheese. She'd have cleaned you out! Emma - but Cat didn't share those pretty cupcakes with us. Oh, didn't you know? She publically said she would chose cheese over chocolate. I know, right?! Dangerous talk. Just to set the record straight: I DIDN'T GET A CUPCAKE EITHER! Zoë - Really? We are not back on the Marmite cheese addiction again, are we? Cat - LOL, I feel better about not getting one now, but you really should of had one. Who ate all the cakes? Another fab interview. I must be getting old as these authors seem to be getting younger and younger. Petty Witter - Cat is eternally youthful. Michelle - Ah ha! That is where the cupcakes went! Another wonderful "Big Break" interview! It is great to share these moments with us, Vivienne. That Cat manages to write in spite of having angst about not writing on some days is reassuring to know! I agree, the cover is beautiful. Nice interview! What a fun interview! And I absolutely adore the cover for Entangled. So, so pretty.